Photographer Clare Porterfield is adrift. Her husband has gone back to work, but she just doesn’t see the point. All she can think about is the death of their daughter. Then she is asked to put together an exhibit in Galveston. Who better to do the job than a local girl made good in the world of photography? Clare makes her first trip back to the island since she left as a young teen. There she settles into a guest room in her mother’s home. Galveston is languid in the heat and she eventually explores not only the historic photos that will form the exhibit but also the island itself. Throughout The Drowning House (Nan A Talese/Doubleday, January 15, 2013), author Elizabeth Black vividly depicts the island. Her writing is poetic and stately. As a writer reading this novel, I knew there had to be more to it. Yes, the novel is set in Galveston. Clearly that means that there will be time spent on description, but the space given to the setting told me that there was more to it than that. There had to be a larger reason. And that reason is why fiction writers need to read The Drowning House. In describing the sites, Black goes into Galveston's history—founded by pirates who preferred to be called privateers and nearly wiped out by a hurricane in 1900. Pre-hurricane, alcohol flowed freely and fed debauchery of all kinds. Post-hurricane, tourists often take part in behavior they would never admit to back home. In this way, Galveston reflects the people who live there. The tourists aren’t the only ones in denial. There are things that go on in Galveston homes that no one talks about and, at one time, Galveston was Clare’s home. There she met Patrick, the love of her young life. Again roaming the streets and beaches of Galveston, Clare sees these as an adult that she hadn't noticed as a child. This novel could be set nowhere other than Galveston. The setting reflects not only the themes of the story but also foreshadows what Clare discovers about her family and even herself. As if this masterful use of setting isn’t enough, there are other reasons for writers to pick up The Drowning House. As I said before, Black’s descriptions are poetic. They are languid and elegant even when the meaning behind the item is terrible. Black’s use of backstory and detail are also masterful. She feeds the reader bite sized bits of information. Here is something from Clare’s past. Here is a bit of Galveston history. These treats keep you reading as Clare unravels the mystery of her childhood. I know I’ve been sketchy about the plot. With a book as suspenseful as The Drowning House, I refuse to reveal the deep dark secret. You will have to find out on your own. Because, bit by bit, as you read, you will definitely learn about setting, about theme, about description and so much more. In addition to writing for the Muffin, SueBE is teaching the upcoming WOW! course, Writing Nonfiction for Children and Young Adults. You're in for a treat. 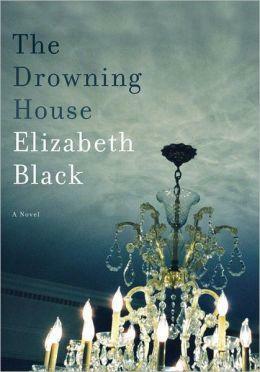 We also have a hardcover copy of The Drowning House: a Novel by Elizabeth Black to give away! Just enter the Rafflecopter form below for a chance to win! Love the idea of reading a fabulous novel set near my home in Houston AND learning about my craft at the same time. That's my kind of continuing education! This sounds like something I might like to read so I'm going to! Thanks for the introduction to this new (to us) author and her book. I think we'd both enjoy it. We splurged at Christmas and got copies of The Round House, Gone Girl, and Flight Behavior. This sounds like a wonderful book! I'm intrigued after reading your review. Great review for The Drowning House. I just finished Arcadia by Lauren Groff and started The Night Circus by Erin Morgenstern. The Drowning House is on my to-read list now! I am reading Judgment Call by JA Jance. This books sounds great! I want to know what you were referring to when you said there was more!